Pickup from Cochin airport/ railway station and Proceed to hotel. On arrival check in at the hotel. Evening is free for relaxation. Overnight at the hotel. 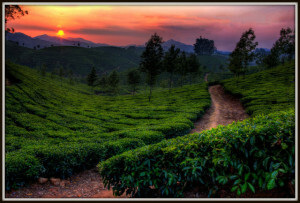 Today proceed for the green hills of Munnar. approx. 110 kms. On arrival check inn at hotel.Rest of day on own free activities. Evening will be leisure. Overnight at hotel. Today you proceed to visit the beautiful Mattupetty lake and Dam, Kundla Dam, Echo Point and Top Station to enjoy the scenery. Evening is free for shopping. Overnight stay in Munnar. Optional: Visit to Kullukumalai Tea Factory can be arranged by a local Jeep at an additional cost of Rs.2,250 per jeep with capacity of 5 persons in total. Entrance per person will be charged Rs. 100/- which client has to pay at the time of entering factory. 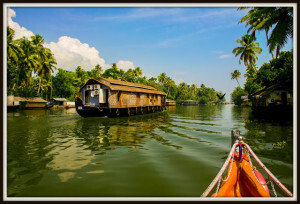 Today proceed to proceed to Alleppey approx. 175 Kms, the backwater region of Kerala. Upon arrival check in to your houseboat (14:00 hrs). After lunch rest in the houseboat and viewing surrounding greenery. Also enjoyed houseboat experiment. Overnight stay in Alleppey Houseboat.